I have been a collector of information and knowledge for as long as I can remember. Books, good articles, great tools and models have been collected over the years and I must add that I have used and tried out most of the promising options which had crossed my path. Of course over the years you develop opinions about what works and what does not and you have your own versions of just about anything you can imagine having to address : contracting, determining root causes, developing plans and a path forward, executing such plans, communicating the plans etc etc. The list goes on and on. Anyway, this is me sharing some practical tools from my vast collection with some comments and advice on how to use or what to do or not to when heading down a new direction. Feel free to use these and leave me comments – who knows, maybe I am not done learning yet. 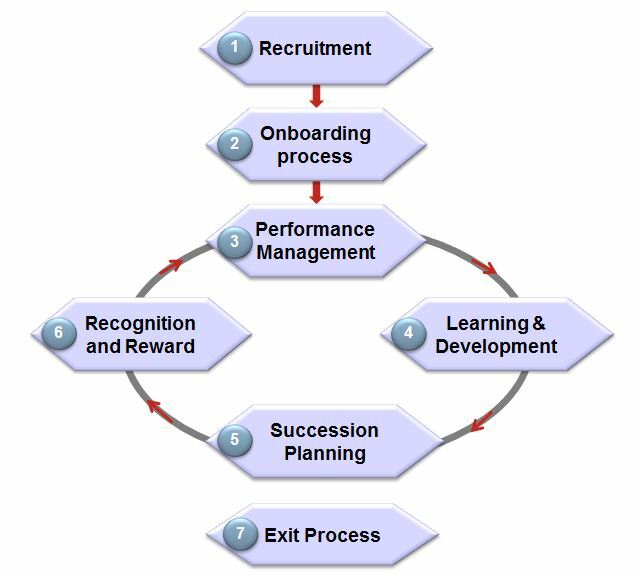 This basic “road map” of people-based HR processes (below) may help you understand how the various templates and tools may contribute to your efforts to support these processes at your location. Wonderful collection of templates! Applicable to non-working life as well. 🙂 Thank you for sharing!